Music from Big Pink stands as one of those rare albums that turned the rock world on its axis. On this record, released in 1968 at the height of the psychedelic revolution, the five members of The Band avoided the electric sounds of the day, opting instead supplementing guitars with mandolins, fiddles, accordians. Picking up where The Band left off, The Weight Band originated in 2013 inside the famed Woodstock, New York barn of Levon Helm when Jim Weider and Randy Ciarlante — both former members of The Band — performed “Songs of The Band” with Band founder, Garth Hudson, alongside Jimmy Vivino and Byron Isaacs. Inspired to carry on the legacy of the unforgettable rock group, Jim Weider and former members of the Levon Helm Band and The Rick Danko Band began to tour bringing the music of The Band back to fans everywhere. 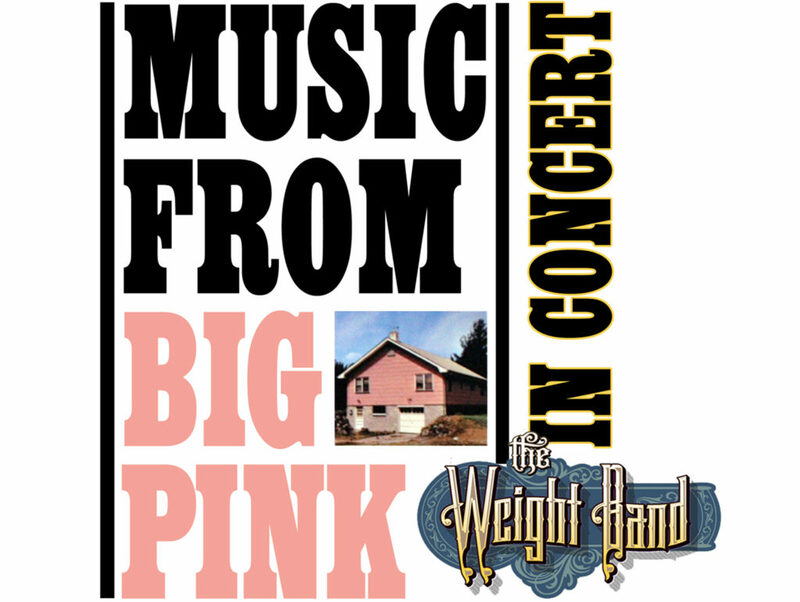 This 50th Anniversary Celebration of Music from Big Pink will showcase the classic album in it’s entirety along with other well known hits by the band and stories from being on road and in the studio with Rick, Levon and Garth.